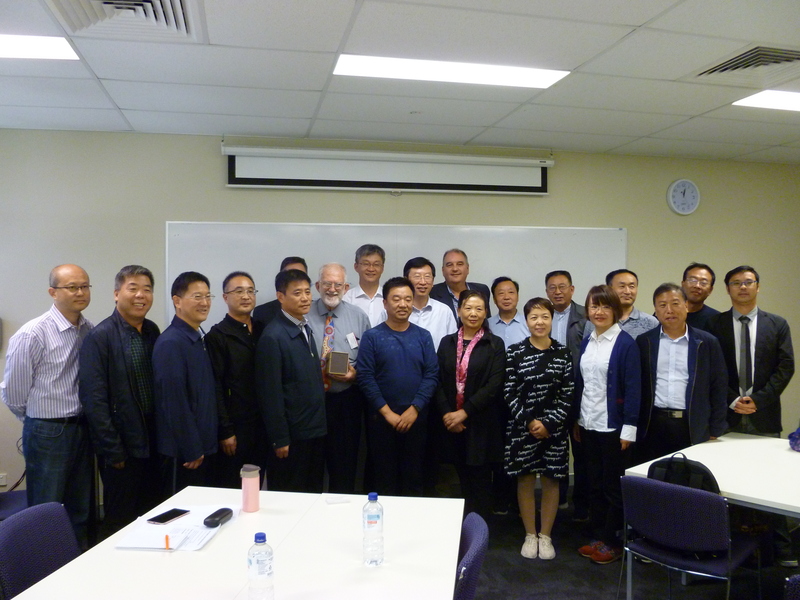 Last week, The New Ventures Australia Group hosted a large Chinese delegation from China’s Food & Drug Administration from Henan Province, Considered the birthplace of Chinese civilization, north west of Shanghai. The delegation which included the Deputy Inspector and numerous senior officials participated in a study program designed to provide insights into Australia’s Food Safety framework and best practices. After spending two weeks of a three week program in Sydney, Mr Stewart Gow and Mr Ross Naidoo the Senior Food Science Liaison Officer from Queensland’s Department of Agriculture & Fisheries welcomed the delegates to Brisbane for their final series of lectures and factory visits. 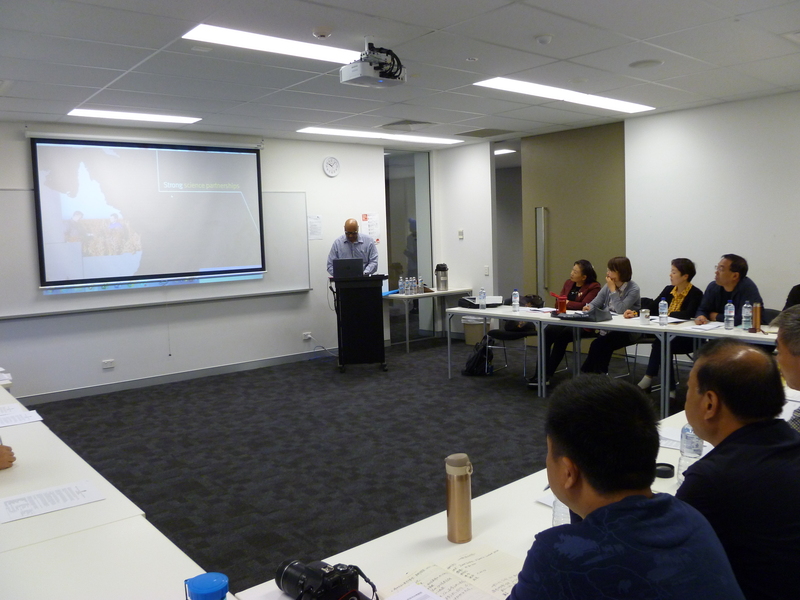 Mr Naidoo presented an engaging lecture on the overall Food Safety framework within Australia to the group with the highlights being the mechanisms that influenced each element and its challenges initiating lively debate with the delegates. Follow Mr Naidoo, Dr John Hines a Food Safety expert having over 25 year experiences working at the Government policy level and private sector presented business cases studies and best practices scenarios from the private sector and supermarkets chains perspective. On the backdrop of the current Strawberry Needle Tampering Crisis, Dr Hine also highlighted deficiencies with the Food Safety framework as well as insights on future actions and amendments in order to prevent similar incidences occurring again. 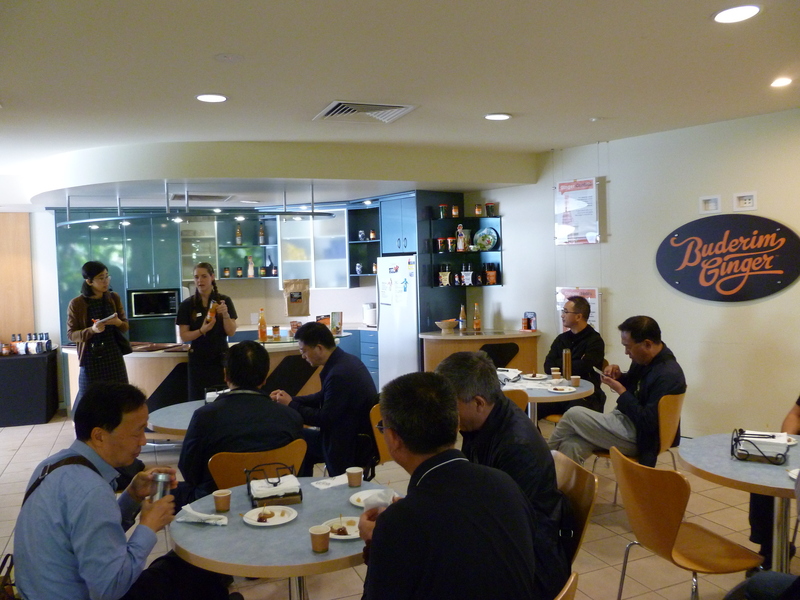 Finally concluding the study program, The delegates visited the Buderim Ginger Factory, One of the largest ginger factories in world for a private factory tour and were treated on its completion with tasting of a range of Buderim Gingers famous range of ginger products, Assisted by Translation Express’s Brisbane Interpreter Mrs Gubby Chen as well as a visit to The Nutworks Chocolate Factory situated next door which specializes in Macadamia nut confectionery. Feedback from the participates has been extremely positive for the Brisbane program and the New Ventures Australia Group looks forwarding to working with our Sydney colleagues at Winglong to create and host further educational and cultural exchange programs in future.